Best Kayak For Kids in 2018 - Which Is Fit for Your Young One? Best Kayak For Kids in 2019 – Which Is Best for Your Young One? Learning how to kayak is an exciting time for children! 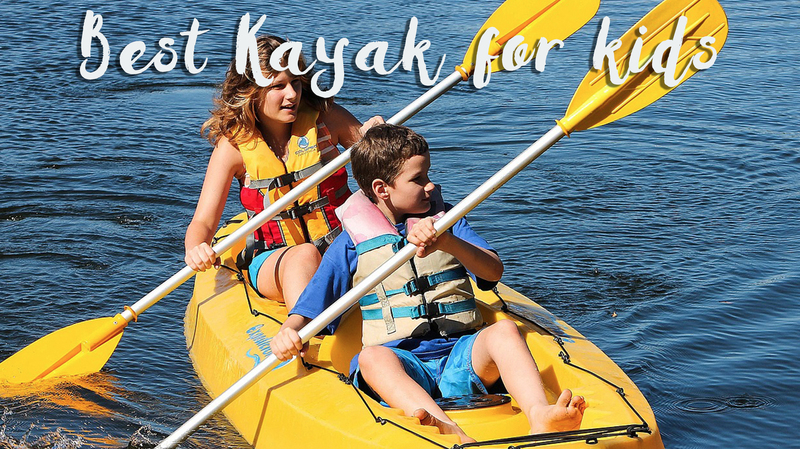 You can get them out on the water in ease and safety, with the best kayak for kids. 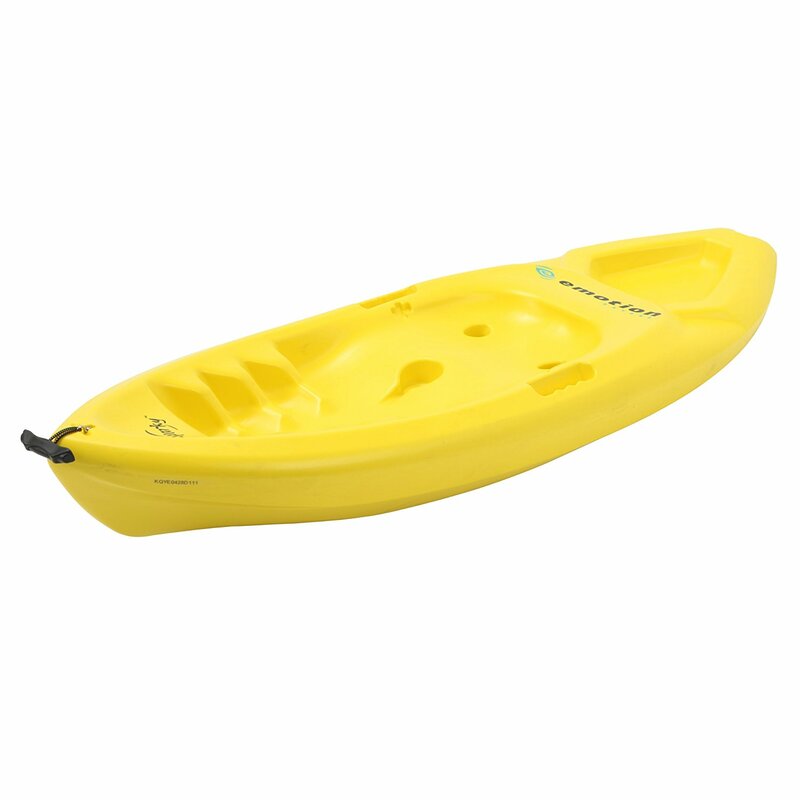 It’s important to look for kayaks that are stable, lightweight and easy to get in and out of. Bright colors certainly make the experience fun too. Here’s a look at five great options, to help you decide on the best one for your child. 1 Which is the Best Kayak for Kids? Which is the Best Kayak for Kids? 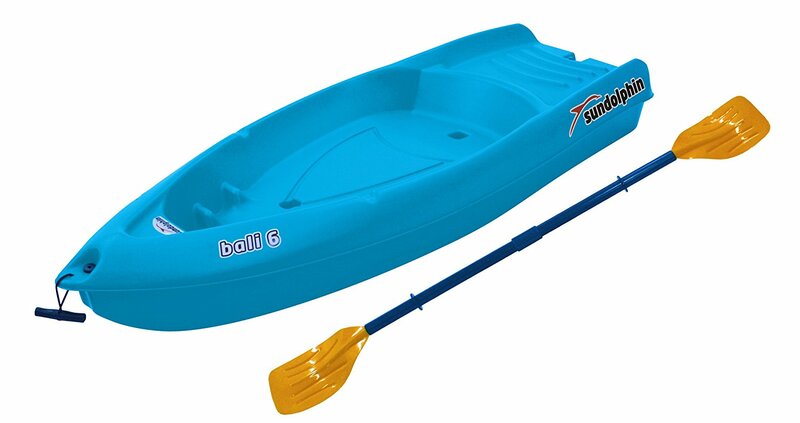 The Bali 6 from Sun Dolphin is a fantastic, affordable sit-on-top kayak for children. It’s lightweight but offers a hard shell made from rugged UV stabilized FortiFlex high-density polyethylene. Basically, this equates to a very sturdy kayak that’s easy to transport. It has a rather large open-cockpit to allow easy entry, a comfortable seating area, and graduated foot braces. In addition to this, there’s also a molded in pedal holder, carrying handles and a swim platform, just in case your kids want to go for a quick swim and then jump back on when they’re done. 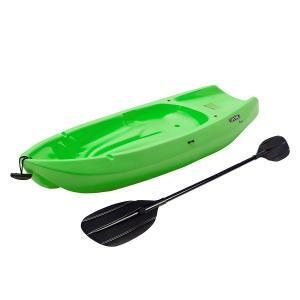 This kayak is a very basic, practical option in which to start teaching your kids how to paddle. If you’re trying to teach a really young child how to kayak then the 6ft lifetime wave youth kayak may be the way to go. Designed for kids aged 5 years and older, and up to 130 pounds, the Lifetime Youth Wave kayak is designed to be ultra-safe for kids and user-friendly. It’s lightweight, easy to handle, and comes with an impressive list of features too. The overall construction of this kid’s kayak is a durable UV protected polyethylene, with a reverse chine and hull for enhanced stability. The twin fin design assists your child with tracking and surf riding. There are multiple footrest positions for different sized children, self-bailing scupper holes, and molded finger holes on each side of the kayak. You’ll even find a swim-up deck designed into the kayak to assist with re-entry. This is possibly the best kayak for kids when they’re first learning to paddle. Want to give your kids a kayak that is extremely easy to transport from one place to the next and gives them a little bit of room to grow into? Then get them the inflatable QuikPak K1 from Sevylor. This lightweight kayak is not intended just as a kids’ kayak, but for anyone who truly values mobility. The entire concept of this kayak is that it can be deflated and packed right back into a backpack. Just take the deflated kayak out of your backpack when you get to your destination, pump it up, and you’re good to go. The Quikpak K1 features a tarpaulin bottom that provides durable protection from any punctures, multiple air chambers in case one is punctured, a backrest, multi-position footrests. It offers a secure storage area and a middle cup holder. Granted, it’s a little more adventurous than most of the kids’ kayaks on this list, however, it’s more geared towards older children who need something to grow into. The Sparky from Emotion Kayaks is a perfect kayak for kids who are just beginning to learn how to paddle. It’s of a smaller design and has a semi-flat, shallow V hull which allows for easy maneuvering without sacrificing any stability. 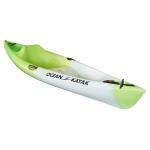 This children’s kayak is of a sit-on-top design which allows for easy exit and re-entry should they want to swim. Built-in handles and a front toggle handle make transportation easy for you or your child, whoever is carrying it this time! There are multiple footrests for different sized kids, a built-in center cup holder, a special shaped tank well for storage, and self-bailing scupper holes. The Ocean Kayak Banzai is a sit-on-top kayak specially made for children, for fun paddling on the water. For safety, it offers the Banzai’s Tag Along System, which lets you tow the kids when they’re tired. A contoured seat well area with a comfortable seat back means your children will be able to stay out on the water, for longer. 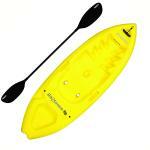 For shorter arms, there’s a lower profile deck for ease of paddling. Molded-in side handles help with transport. You’ll also find a molded-in cup holder, a screw-in drain plug and a skid plate. Ideally, the best kayak for kids is made of a solid, durable, high-quality material so that you know they’re safe on the water. 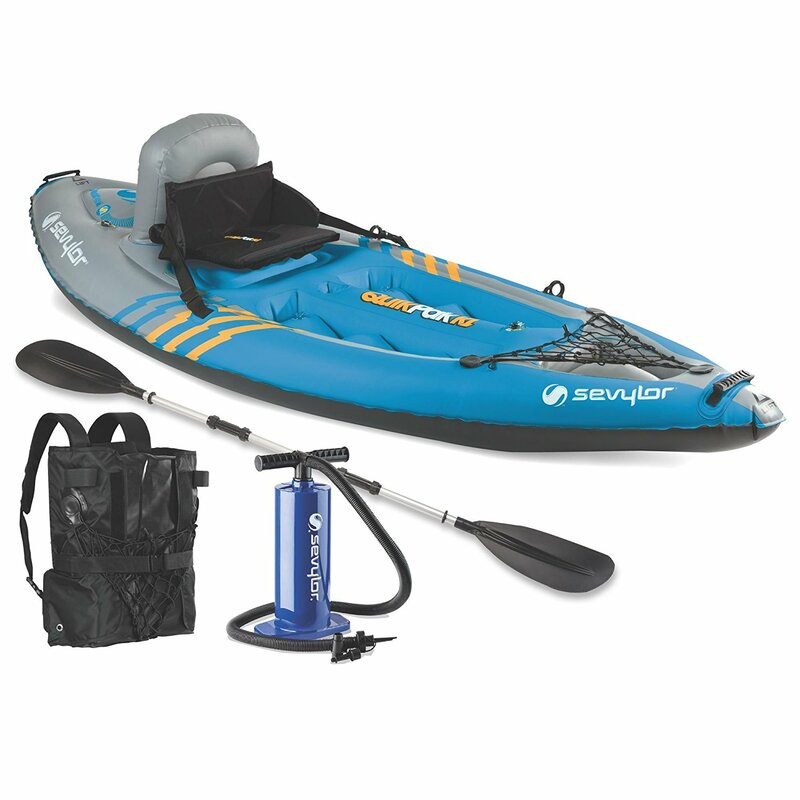 In general, most kayaks are made from a polyethylene material, however, there are other types of kayaks on the market that offer solid alternatives, like the Sevylor Quikpak K1. If you’re buying a children’s kayak for your child to grow into over time, it might be a wise idea to pick a kayak that has either adjustable foot braces or multiple sized, molded-in foot braces. This one isn’t an absolute necessity, but it is a wise investment choice that can save you money in the future. You don’t want to choose a kayak that’s too heavy nor too light; it needs to be just right. 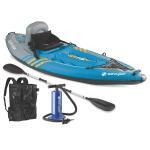 There are few reasons for this, the first being that if your kid is a smaller kayaker, then you will want to get them something that you, or they, can transport easily, without much strain or hassle. Second, you don’t want it to be too light. If your kid’s kayak is too lightweight it’s certainly going to affect the ride they’ll have in windier conditions. Remember that just because a kayak is stable, it doesn’t mean it can’t flip, so always keep a close eye on your children when they’re out on the water. Everyone starts somewhere, and when it comes to kayaking in that beginning stage you really need a yak that’s extremely stable so that you can fine-tune your paddling skills. This goes double for your kids. To help them build up the confidence to keep putting their skills to the test, keep this feature at the top of your wish list. 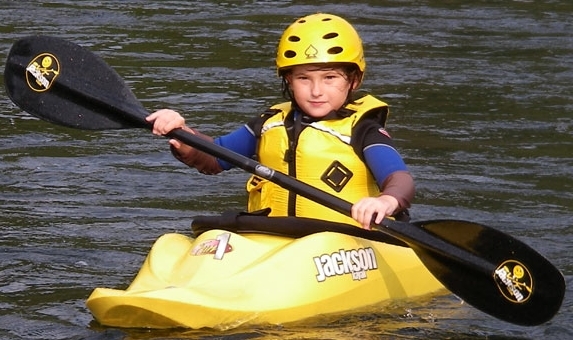 Your kid’s first kayak should be something that they enjoy being in and are comfortable with. They should have enough room in the cockpit, and it should be stable enough for them to fine-tune their paddling skills. Follow these simple rules along with our recommendations and you and your child will be having fun together on the water in no time at all. If you’d like to share your favorite kids’ kayak with us, please feel free to let us know in the comments section below.